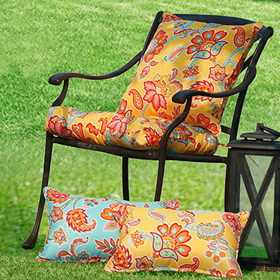 Kick back and relax—your backyard should be a mini retreat. 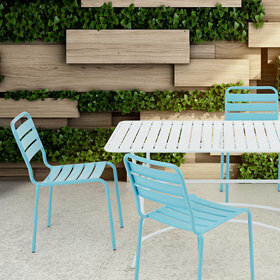 Elevate your space with designer outdoor furniture. 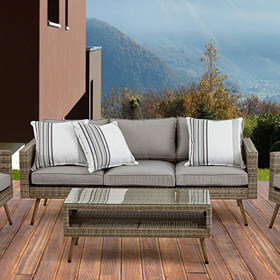 With weather-resistant cushions and panels to help keep the party going in rain or shine, Designer Living outdoor products are more than just basic decor! Make sure your guests always have a place to sit, with luxury patio tables and seating for those summer night events. 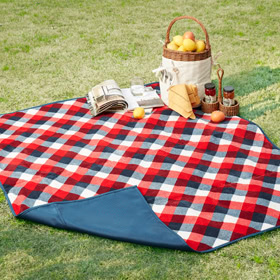 For those cooler nights, be prepared with outdoor throws that are just the right amount of comfort for huddling near a campfire. 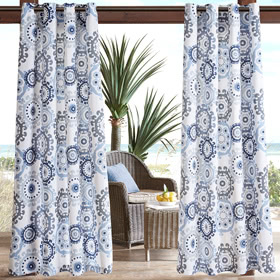 Designer Living carries a wide variety of weather-friendly products suitable for every season, ensuring that you get the right amount of style and color to match your needs too. 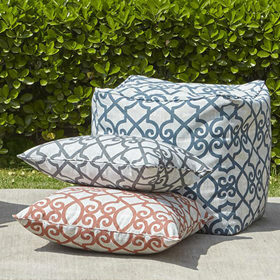 From tropical hot summer patterns, to essential solids, Designer Living carries versatile collections that will easily look right at home in your backyard. Whether it’s your quiet corner or your backyard entertainment space, furnish the outdoors the way you envision it, without having to settle for any less. Get an Extra 15% Off. THE PRODUCT HAS BEEN REMOVED FROM YOUR SHOPPING BAG. Take a minute to add a few items you'd like. Sign up to be in the know! Sign up for Sale + Trends alerts. Check your inbox for your exclusive deals and start shopping now!